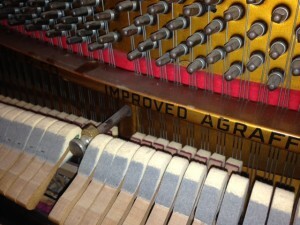 These old Heintzman pianos have holes drilled into the lip of the plate instead of traditional agraffes. This piano is very similar to a Steinway. I believe Heintzman worked for Steinway.